"Founded in 1974 to protect significant landscapes in New York State, the Open Space Institute is a leader in environmental conservation. OSI has partnered in the protection of 2.2 million acres in North America, from Alabama to southeastern Canada." OSI fails its mission to protect landscapes in NY when it litigates and evicts farmers, single mothers and tears down historical barns instead of restoring them with their extensive grants access. They gratefully acknowledge that much of OSI’s work in New York State is accomplished through the Open Space Land Trust, Inc, which received a permanent fund from the Lila Acheson and DeWitt Wallace Endowment in 2001. Bob has been real busy. After serving on the Board for the Mohonk Preserve and helping the Friends of The Shawangunks get traction, Bob became Vice - President and General Council for OSI. All the while helping broker some shady land deals that ended up in court. The first being the Shawangunk Conservancy vs Fink and the second the Mohonk Preserve vs Pardini and Fink. The first lawsuit was in favor of defendants Michael Fink and Karen Pardini. The second was ruled in favor of Pardini and Fink with 92 pages of Findings of Fact and Conclusions of Law. Mohonk later appealed and the decision was reversed based on old 1800 scriveners errors, misrepresentations of the 9 day trial, and ignored testimony of 30 witnesses and over 100 pieces of evidence. Currently, Fink and Pardini are pursuing alternative options to defend their land. Another dirty land deal included buying out the mortgage from under a single mother by the name of Louise Haviland. Ms Haviland owned land over by the aqueduct and Bontique Crag. She was forced off her land because Mr. Anderberg had purchased the mortgage which inevitably forced her to leave. Also in 2012, OSI purchased 857 acres on land from Smiley Bros, Inc (Mohonk Mountain House). During this time OSI had terminated the current occupants renting the structures on this land and filled the vacancies with all their friends. The not-for profit Glynwood Institute was replacing a 450+ membership CSA called Brook Farm. The farmers were asked to leave and a 13 million dollar not - for - profit moved in. See article This Land is My Land , Planet Waves 2013. 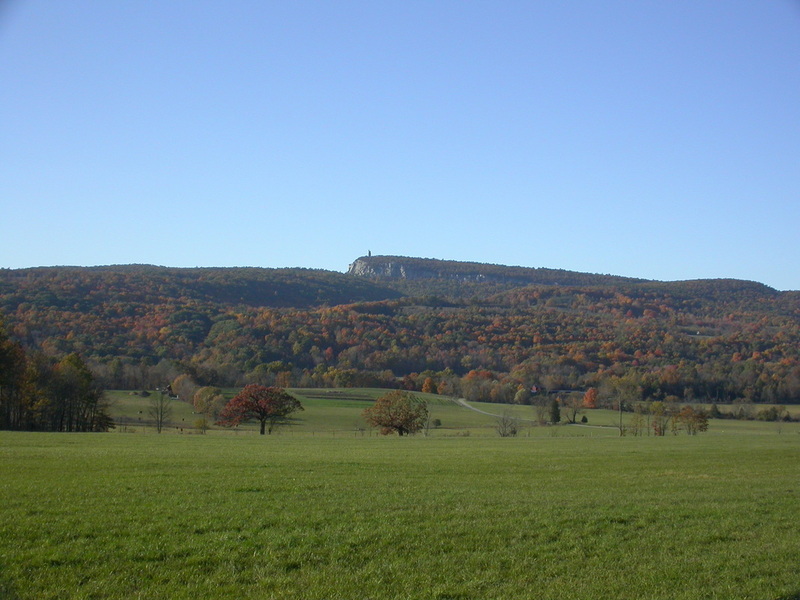 This land was then again sold to the Mohonk Preserve who assumed the lease for Glynwood, asked for a 20 acre subdivision for a 5,000 square foot residential development in their own million dollar view-shed and has secured the town of New Paltz blessings for additional development of the land (The Mohonk Testimonial Gateway). There will be two parking areas consisting of 90 parking spaces, 3 bus lots and two horse trailer lots. Eleven new structures will be built on the land providing recreational enjoyment from birdwatching with elevated boardwalks to hiking trails for biking, hiking, horseback riding and special events. The idea will no undoubtedly provide enjoyment for many but it will also increase usage of the surrounding environment, roads and neighborhood. Being right on the main artery (State route 299) from the New York State Thruway and Town of New Paltz this project has the potential to disrupt an already dire traffic problem in this town. The Town of New Paltz Planning Board, Mohonk and OSI have disregarding these impacts as minimal. See Letter to Planning Board from a concerned neighbor. As reported by the New Paltz Times on September 29, 2016, "More than 100 additional peak-hour trips is all that it takes to be deemed an impact, and the traffic study bears out that this level is expected." If this is correct then the determination of minimal traffic impact for the Mohonk Testimonial Gateway Project is in error and must be addressed. Mohonk's Transportation Evaluation Study. At the same time OSI has also acquired the most of the remaining farmland connecting Mohonk's Testimonial Gateway to the Village of New Paltz and is developing a River to Ridge Trail that connects the Walkill Valley Rail Trail to the Mohonk Mountain House, the Mohonk Preserve, Minnwaska State Park and Sam's Point Preserve. They have installed fencing surrounding all of the River to Ridge Trail land and dismantled the historic Studley Barn on Butterville Road. This is to the dismay of anyone who knows there is nothing wrong with the barn. They only want to replace it with something that better suites their needs. The fence now implies this is a GATED COMMUNITY. This winter snowmobile tracks in the fenced in areas show disapproval from the locals. Take action and sign the petition for NYS Attorney General to investigate Fink and Pardini's complaint against the Mohonk Preserve, Friends of the Shawangunks and the Shawangunk Conservancy.